Anne was appointed as Manager of Braveheart in October 2011 and brought with her more than 20 years experience of managing charities. Anne trained as a teacher and went on to achieve an MBA and further qualifications in leadership in the third sector. Anne has enjoyed the challenge of working with volunteers, staff and Board to make a real difference in the health and wellbeing of many people in the Forth Valley area. 40% of the population are estimated to have one or more long term conditions and Braveheart is committed to finding ways to reduce that figure and support people to self manage. Anne is excited about current developments, working with the Braveheart Board, the NHS and local people to find ways of effectively engaging with communities where there are health inequalities. When not working or volunteering, Anne enjoys spending time with family; travelling, particularly in the Scottish Islands; and is a great lover of nature and animals. 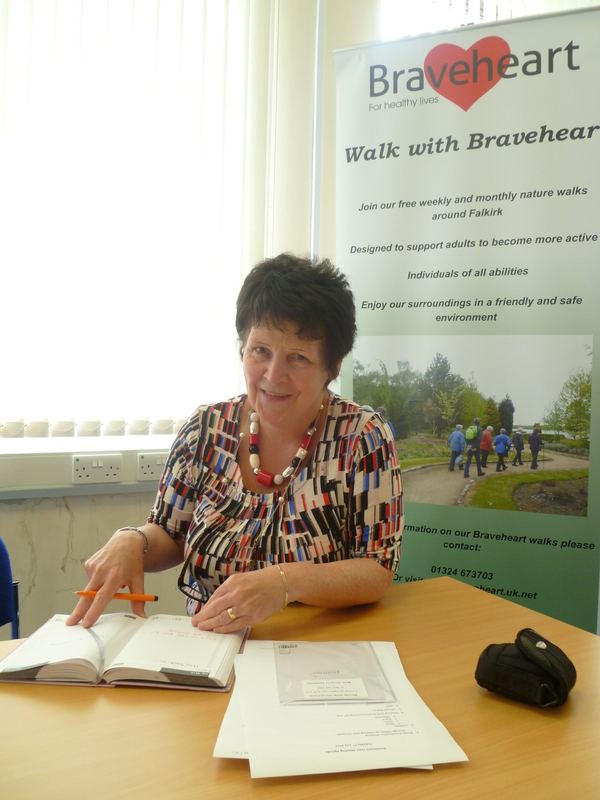 Maureen says “I think Braveheart has a wonderful ethos, it’s all about encouraging people to help themselves and linking people in the community together. Good health is so important” Maureen took up the role of Support Worker in January 2007 and since then she has been really happy to play a part in Braveheart’s growth and development. In her free time, you’ll normally find her in a swing park or jumping in puddles with the grandkids! Eva joined Braveheart in February 2014 following on from University; achieving a 2:1 honors in Physical Activity and Health at Abertay University, Dundee. Eva’s interests are the outdoors, keeping active, and she loves to travel. 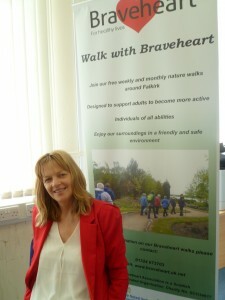 Along with Braveheart, Eva also works with Forth Valley Disability Sport leading on their ‘Get out Get Active’ project. With joining Braveheart, Eva hopes to increase opportunity for older adults to become physically and socially active, through walking, within their community and support individuals with varying needs. Furthermore, encourage everyone to access local paths and green space. 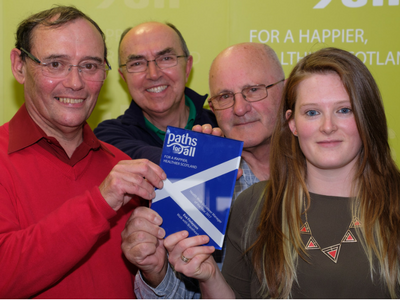 Eva won Paths for All’s ‘Volunteer Manager of the Year’ award for Scotland, in 2017.